Guest blog: London Flood Awareness Week – how prepared are you for flooding in London? Did you know that 1.3 million people are living and working in areas of the city at risk of tidal and river flooding? How about that around a third of London’s basement properties are at risk of flooding in a severe storm? These are big numbers. But thanks to London’s extensive flood defence system, including the iconic Thames Barrier, London is well protected against tidal and river flooding. But we cannot prevent all flooding. There can still be flooding from unpredictable sources, such as heavy rainfall. Unfortunately, these can happen anywhere, at any time. And they can have disproportionate effects on people who are least able to cope with flooding, such as the elderly, those on low incomes, and large families. Whether it’s losing precious photographs, or having to replace furniture or important documents, flood damage can cost people a lot of money and take a long time to recover from. It can also have long-term mental health impacts. That’s why the Mayor of London, the Environment Agency, London Resilience and Thames Water are working together to help Londoners better understand their risk of flooding, as well as the actions they can take to help protect themselves, their loved ones and their belongings from flooding. The campaign will be running between Monday 12th and Sunday 18th November. 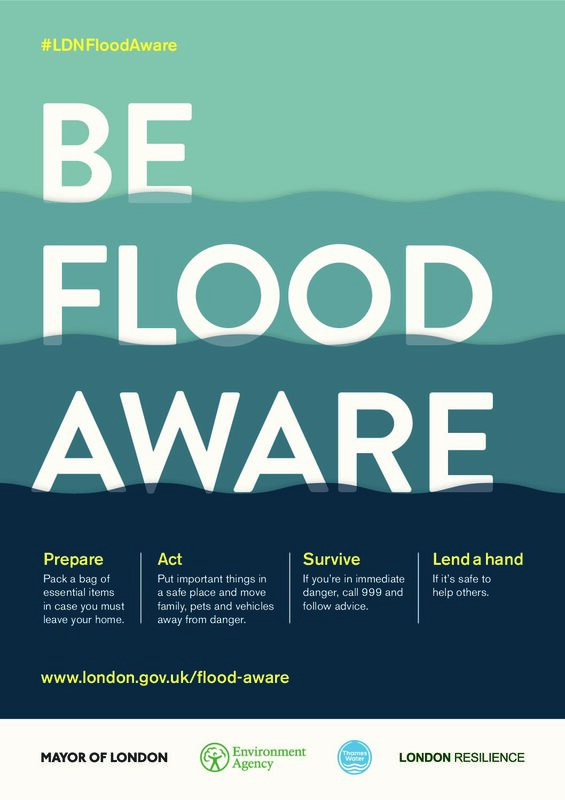 To find out more about how to prepare for flooding, check out the campaign’s webpage www.london.gov.uk/flood-aware. To find out how prepared you are for a severe flood event in London, take our quiz: www.london.gov.uk/be-flood-aware. How does Flood Re work? Who pays for Flood Re, and how? Is your property eligible for Flood Re? Can we help you find out more information?